What does a video game designer do? Would you make a good video game designer? Take our career test to find out how you match with this and over 800 other careers. What is the workplace of a Video Game Designer like? The gaming industry is at full swing; video games are enjoyed by people of all ages, allowing players to step into an alternate world and become superhuman soldiers, expert tennis players, and world saviors. Video games are extremely complex, in storyline alone, and there are millions of lines of code that develop every aspect of the game. From maps to characters, these games fulfill a reaction for every possible action that a player may choose. These worlds are courtesy of video game designers, who are responsible for the content and environment of every video game. A video game begins with a concept. A proposal is drafted by a team of game designers, who address important details such as target audience, requirements, deadlines, and budgets. Video game designers make that concept of gameplay and layout come alive, often through experimentation with several themes and genres, as well as developments and improvements on existing games. All of this is created through computer software in which the designer will input computer scripting, which is then processed by the software to generate commands, events, objects and characters that players interact with. There are many types of game designers who focus on a particular aspect of gameplay. Most designers will spend at least some of their time as testers, where they can experiment with coding and watch others’ mistakes firsthand. Lead designers are the coordinators of the team and are responsible for communication inside and outside of the design team, as well as making important decisions. A game mechanics designer works on the balance of the game and its rule system. Lastly, an environmental designer is responsible for creating the different scenarios and environments of the game. A game will undergo millions of changes throughout its making, and game designers are required to constantly recheck and recode thousands of lines of code. A designer can also be called upon to develop a game to focus on a particular aspect, such as market, design, technology, or art. Games that are market-driven are designed to make a profit, and therefore their progress is limited to consumer demand. Most games are developed in this manner. Games that are design-driven allow the designer to take full reign of the game and its aspects. Many games are not developed in this manner because of monetary restraints. 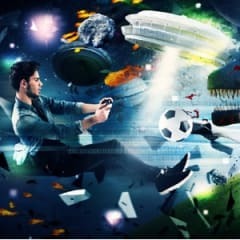 Games that are technology-driven are created in order to highlight a technological achievement or to market gaming consoles and engines, such as high-quality graphic displays. Rarely, a game will be art-driven, where a game is focused on visual effects and impressive designs created by artists. Are you suited to be a video game designer? Video game designers have distinct personalities. They tend to be artistic individuals, which means they’re creative, intuitive, sensitive, articulate, and expressive. They are unstructured, original, nonconforming, and innovative. Some of them are also enterprising, meaning they’re adventurous, ambitious, assertive, extroverted, energetic, enthusiastic, confident, and optimistic. Does this sound like you? Take our free career test to find out if becoming a video game designer is right for you. Game designers typically work for gaming companies such as Blizzard, Electronic Arts, Microsoft, Nintendo, Sony, etc. They typically work in an office or studio-like setting amongst other designers and programmers. This environment can get very stressful, especially when one is dealing with a looming deadline, or dealing with a server crash.